This is part of a series of posts based upon the book The Happiness Advantage by Shawn Achor. See this post for my summary book review or follow along with the entire series below. If you like what you read, then spread the love and share this with your friends and fans socially. Thanks! 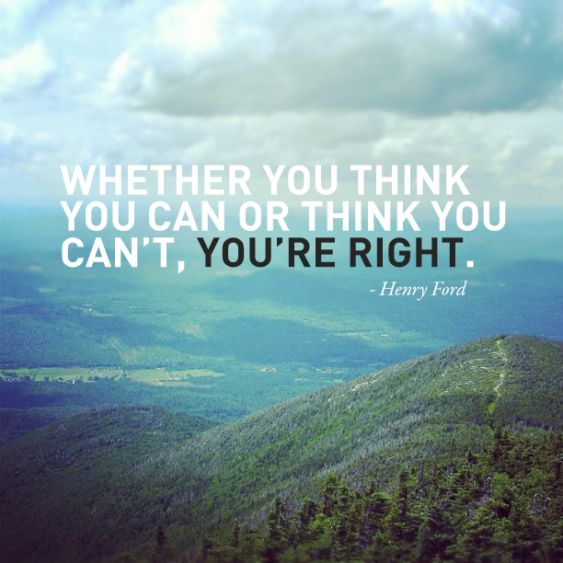 Because minds that are positive have a biological advantage over minds that are neutral or negative, this principle teaches us why and how to capitalize on positivity and improve our productivity and performance – in all areas of our lives. This book is designed to help people be better employees or maximize the performance of their teams given the focus of the author’s work in teaching these happiness principles to Fortune 500 companies. Yet, the power behind the principles can be applied to any area of your life as the author points out again and again in the book. I hope you’ll read these insights and consider applying them to your work performance but beyond that, as well. With that said, let’s dive deep into this chapter and Principle #1 – The Happiness Advantage. Success doesn’t lead to being happy. Being happy does lead to more success. If you live in a western society you’re probably swimming in a culture that has taught you to”pursue success and then you’ll be happy.” If you work hard and become successful, then you’ll find yourself with all the trappings you could want and you’ll, of course, be happy. Research in the past 50 years has proven that is a flawed premise. The premise of working to be successful and then you’ll be happy is pervasive. Heck, it even sounds logical. […maybe it seems that way because I’ve been swimming in that story my whole life like you!] I’m not completely sure, but it would appear this story came out of a post-war era where most people had to work hard to survive…let alone thrive. However, as the results of study after study shared in The Happiness Advantage demonstrate there is proof that happier people are more successful. What the author points out is we need a new story, a new paradigm and new reality to live into. We need to turn things upside down and change our perspective. We don’t need to grind out our lives working in a negative or neutral space chasing that elusive success in the hopes we’ll be happy…someday. If there’s anything my life experience has taught me it’s that being happy needs to be part of the journey, not the destination. You can’t have an unhappy mind or attitude and have a happy life. Living in despair, doubt, struggle, suffering or anything else that doesn’t feel good is not going to create happy in your future. That’s like following a recipe and adding ingredients for vegetable soup and expecting it to turn into apple pie. It’s never going to happen. You need to change the recipe (your story) and change the ingredients (your attitude). When I’m happy I’m more successful so I practice being happy each day. What could your new story sound like if you turned “be successful and then you’ll be happy” around? I want to take a quick moment before we move on to point something out that was taught to me many years ago. Humans are motivated by feeling good and seek out good feeling experiences (ie. we do what we do because we think they’ll make us feel good). Because we’re motivated by feeling good if you felt happy each day then aren’t you already successful? Consider that if our motivation is to be happy and we achieve that each day, is that success? For all the many years I’ve been studying and practicing being happy (my 30 day challenge for example) in my life I’ve not thought to come up with a definition for happy. Shocker, I know! In this book the author shares a similar experience and says that there is no one definition of happiness. Positive psychologists say that happiness is subjective and I think they’re spot on. What makes you happy is different from other people. Just look at how many different hobbies, foods and lifestyles people enjoy around the planet. If there was one definition of happiness it would seem we’d all be doing the same things, but we’re not. We each define our happiness. And that’s a good thing! I just don’t think many of us ever stop to recognize what makes us happy….and then actively think about or do those things intentionally! Have you? Do you know what makes you happy? I mean have you ever written out or even thought for five minutes about 10 – 15 things that make you feel happy? Most likely not. And that’s ok.
What made those moments happy? Were there any common threads? People/places/activities? It feels good to become more aware of your own causes of happiness, doesn’t it? If you had a little trouble finding moments of happiness, that’s ok. Let’s look a little further into what scientists tell us make us happy. I like the joy and potential parts in his definition. Those two ingredients seem to make up happiness in my world, too. The striving part of his definition leaves me with a sense of effort and working hard again. I like to think of being happy as going to the river and putting your boat in and paddling downstream with the flow. You’re heading towards your destination, you’re enjoying the momentum and you’re not struggling by paddling upstream. In my study of happiness I’ve learned there is an emotional scale we operate on as vibrational beings. Different emotions vibrate within us at different speeds and just feel differently. I think happiness is a state along a scale of positive emotions. Feeling passion feels different than optimism and that feels different than eagerness. Happy is a vibrational energy state along the emotional scale (example below). Happiness is a state of being created out of our focus, our experiences and thoughts that make us feel, well, happy. When I asked you to think back to a time when you were happy you were able to find unique moments when you felt happy. You labeled those moments as “happy.” You might say you also felt appreciation or hopeful or some other emotion and it’s not unusual to have several emotions comingled within you at one time. You can define when you feel happy. I appreciate that Achor introduces Aristotle’s definition of happiness in his book because it’s the first I’ve ever heard it. He says that, “Aristotle used: eudaimonia, which translates not directly to ‘happiness’ but to ‘human flourishing’ when he defined the state of happy. My eyes opened wide open when I saw that definition! 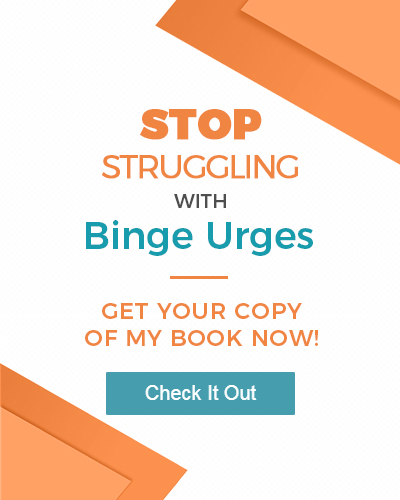 As the author behind the website Get Busy Thriving! what do you think I’m all about? It’s no wonder I am loving this book so much. It’s in alignment with everything I’m up to. How ever you look at happiness it’s clear we all want to be happy. In fact, I’d say for most anything you think you want to do or think you want to have is because you believe it will make you happier. It’s human nature. Yes, there are other emotions we want to experience (confident, love, connected, fulfilled, etc), but on the whole most of us are living in the pursuit of happiness. To me, this is a worthwhile pursuit. 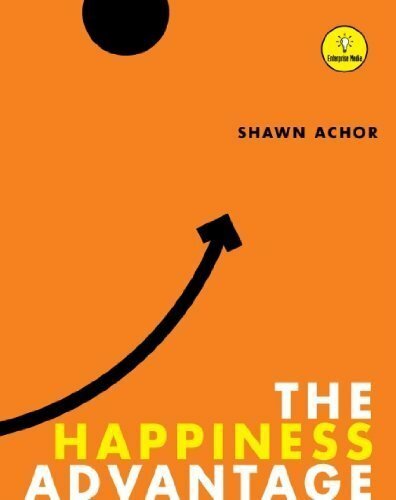 I’m eager to share more from this book because Achor has some great insights and tips about how to go from the pursuit of happiness to the journey called being happy. Being happy now. Not someday. As in…living a happy life. If you want the nitty gritty data, read The Happiness Advantage – it’s packed with great studies and research evidence. 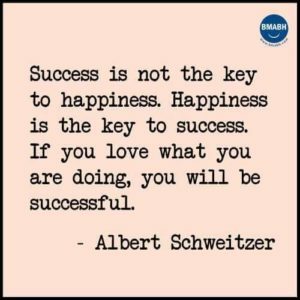 Having read it and many others on happiness I’m convinced being happy first is the best way to live especially if you enjoy being successful. The good news if you manage people is that happy people are more likely to sell more, have higher income, higher performance ratings and less sick days, be less likely to quit and feel burned out. Help employees be happy, get better results. Now, modify this if you’re self-employed or are the business owner and look at your own performance and potential. This means that your business will do better and experience more success the happier YOU are. Instead of grinding it out as the business owner your #1 priority should be to get happy. Sounds simple? Maybe it sounds hard? Whichever way you look at it, don’t take it for granted or brush this off as simply positive thinking. There’s way too much data to support it. You’d be doing yourself a favor in so many ways if you took stock of what makes you happy and do that before you take action in your business. If we look at the success of Virgin and listen to the words of Richard Branson who obviously knows a few things about being successful (he’s a billionaire and a very happy one I might add) he has said that, “more than any other element, fun is the secret of Virgin’s success.” For him, fun leads to happy and happy leads to bottom line success. I’d call that a success clue. Hopefully by now you’re convinced that your happiness can lead to greater success. With that idea in mind how do we go about being happier? Experiencing positive emotions like happiness broadens our horizons. Psychologists call it the “Broadening Effect”. Negative emotions often lead to fight or flight reactions to situations. They harbor doubt, worry, fear, disbelief, discouragement and a host of other non-effective emotions. When we’re feeling happy or positive we have access to more creativity, more possibility thinking, we’re open to new ideas and are better problem solvers. Experiencing positive feelings floods our brains with dopamine and serotonin (aka the “happiness drug”). These chemicals make us feel better and give us access to learning centers in our brains where we can access more information, better organize it and retrieve it. Powerful stuff! Achor reports in The Happiness Advantage that both children and adults primed to think positively and feel positive emotions before taking on a task performed better. He also shared that a study done with doctors who were told they would be given a small reward after evaluating their patients were more likely to make the right diagnosis of patients. Want to know something funny about that study? The doctors were given a candy as their potential reward. Even small rewards or a little positive thinking can have a positive impact on our state and thus performance. Achor told of an experiment where students who were told to think about the happiest day of their lives just before taking some tests and those who were primed with positive emotions performed better than neutral or negative thinkers. I smiled to myself when I read of these studies. I have often taken time during my workday to do things that make me feel good. Pet my cats. Look out the window to watch a bird fly by. Watch a funny video. Talk to a friend or colleague and create some laughs. Whatever it was I enjoyed breaking up the day with good feeling activities. Sounds as if these practices may have been part of my secret to success. Second success clue. Think for a moment about what activities make you feel good that you could do before you take on a project or dive into work each day? Can you come up with 2-3 small things that you could begin introducing into your work day…or morning routine? Remember the candy experiment. I couldn’t be more in support of that idea as a way of living. However, I’ll reiterate we want to get happy because feeling happy feels so good, not just for the performance results. Having the success and performance results will be a natural outcome, so I guess having a work ethic to be happy is a great one. And recognize being happy will spill over into improving every area of your life. Focus – you’ve got to be aware of what you’re focused on, thinking and momentum to each day. Sure, some days can get off track, but being focused on feeling good should be the goal each day so you are being happy. Choose – negative energy is a default state for too many of us. We must choose and be intentional about our decision and desire to be happy each day. We have to remember we are responsible for our feelings and can choose to be positive or negative. Either way we’re choosing where to add momentum. Practice – the discipline of choosing to be happy takes practice – daily. We need to introduce rituals such as a morning routine that will keep happiness top of mind especially first thing in the day. We also need to be very self-aware so we take steps to do things to keep us feeling good if we start to fall into a negative state. It takes daily practice with our energy to build momentum in a positive direction. We all have a baseline level of happiness. The good news is with focus and positive rituals we can increase our baseline level of happiness. That should make you feel good! You’re in the driver’s seat. You are responsible for and in control of your happiness. I’ve found that since I started studying and pursuing daily happiness that people in the world have grown too comfortable with negative feelings. It seems like negative is familiar. Familiar feels normal because we practice the behavior until it becomes a habit. Like a new habit we want to start, feeling positive takes practice and discipline to reinforce. To become more happy each day we want to be aware and resist the temptation to think or do things that feel negative. We have to raise the standard of the emotional baseline we’re willing to live at. A few years ago I did a 30 day challenge based upon the book The Happiness Project and ever since I won’t tolerate living a life that feels negative. Sure, I dip into low vibration emotions sometimes. But, I’ve raised my self-awareness and conditioned myself so much over the years that my brain kicks in and helps me do the things that feel better and have better thoughts so I’m happier each day. If you’d like further advice and support to help be more aware and practice happy daily, contact me about life coaching. Meditate – a consistent practice of 5-15 minutes of meditation each day has huge benefits, especially over time. You’ve probably already heard this, so I’ll leave it at that. Find Something to Look Forward to – as the author says, “often the most enjoyable part of an activity is the anticipation.” Look for things you can put out into your future that you can look forward to no matter how small. Remember the candy experiment. Commit Conscious Acts of Kindness – people who commit acts of kindness each day report higher levels of happiness. Infuse Positive Into Your Surroundings – our physical environment can have a huge impact on our state of mind. In my home I have an altar I see all the time that is my altar to fun and joy and is filled with things that remind me of happy times in my life. Surroundings are in all areas of your life (office, home, car, etc) and include the people, too. Exercise – by now the evidence of the correlation of exercise and positive emotions is pervasive, so enough said. Move! Spend Money (but not on stuff) – invest your money in experiences, don’t waste it on stuff. Research shows the enjoyment from a happy experience goes a lot further than the benefit of any “thing” we could buy. Spend wisely. Exercise a Signature Strength – “even more fulfilling than using a skill..is exercising a strength of character, a trait that is deeply embedded in who we are.” A signature strength is something you do that feels good when you do it. Like for me coaching, learning or contributing to people are a few of my signature strengths. If I’m doing these things I feel better. Reflect on yours and practice them each day. Happiness creates success, success doesn’t necessarily create happiness. Get a new story. Happier people are smarter, healthier, live longer, perform better, make more money and have better relationships. 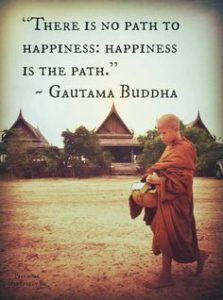 Happiness is a journey, a choice and a practice. Learn what makes you happy and make it your goal to live happy, not pursue it. Aristotle’s definition related to “human flourishing”, not sunshine and rainbows. When you’re thriving inside, you’ll thrive outside as well. Focus on feeling good each day. Put your boat in and paddle downstream. Happiness improves performance in all areas of life including work performance. Be happy and help employees be happy and you’ll be more successful. Being a life coach there is no greater reward than teaching and helping people be happy in their lives. Whatever our personal definition of happy is, I encourage you to define it for yourself and go after it. If you would like support in living a happier, more successful life, please be sure to reach out to me about 1:1 coaching.